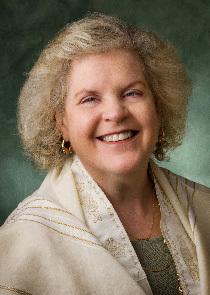 Sara Lonstein Gilbert has been ordained as a Rabbi from the Academy of Jewish Religion in California, in May 2006. She and her husband Michael raised their three now-grown children in Denver, where Sara is active in the Jewish community. Working as a synagogue professional at the Hebrew Educational Alliance for nine years, Sara also worked as a teacher and volunteer in Jewish schools and organizations. She has taught adults, teen and children in such venues as the HEA, BMH/BJ, the Denver Institute for Jewish Studies, the Jewish Women's Resource Center and the Jewish Community Center, specializing in prayer and women's issues. Sara feels very fortunate to be able to participate in filling the spiritual needs of the Northern Colorado Jewish Community. Emphasizing the importance of making our rich heritage and practice more accessible to Jews of all background, she sees the role of a congregational leader as one of teaching, nurturing and facilitating communal and individual growth. Her purpose is to help each Jew find the understanding that will bring deeper meaning, comfort and beauty to his/her life. To learn more about our Rabbi's alma matter, the Academy for Jewish Religion, follow this link. You can read more about Rabbi Sara's experience at AJR though this link. Click here for a copy of Rabbi Sara's message for Erev Rosh Hashanah.